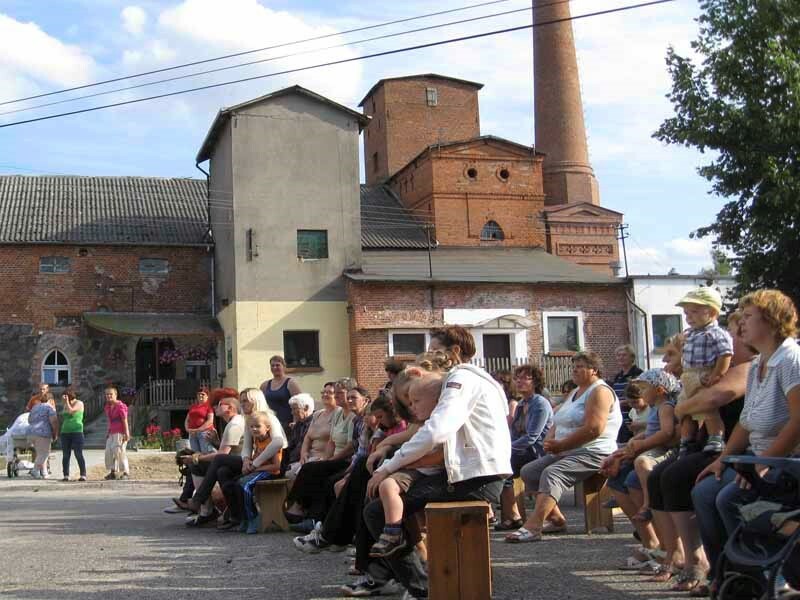 In the diverse cultural landscape of Western Pomerania in North-West Poland, the village project Juchowo-Radacz-Kądzielnia was organized more than 10 years ago by the Stanisław Karlowski Foundation. There, a number of families from Central and Western Europe, with a great deal of pioneer spirit and competence, worked together with Polish workers to build a farm which operates according to the principles of biodynamic farming. The village project creates new impulses for the development of agricultural regions in Central and Eastern Europe. It does so in close cooperation with biodynamic agriculture and associated aspects such as research, education and training, social therapy, and the formation of social life. Activities in the areas of education and social therapy are developed and realized in close cooperation with biodynamic agriculture as a part of the village project. 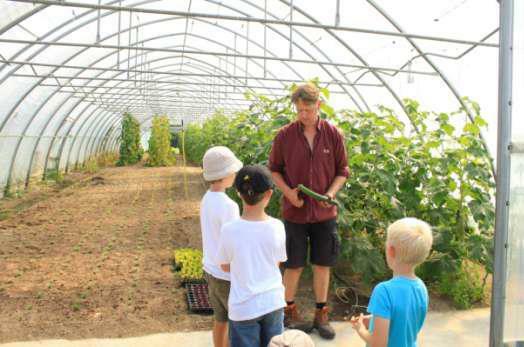 The educational initiative includes, today, a holiday school in which children and adolescents can participate in creative workshops, as well as diverse activities for school classes from Poland and Germany in the form of agricultural internships and nature experiences on the farm. The nature education programs for schools and kindergartens in the region also enjoy enormous popularity. The most recently started project involves social therapeutic work undertaken in cooperation with six facilities in the region. At the moment, a total of 62 individuals from cooperating institutions take turns working on the farm, for example creating syrups and herbal elixirs; packaging herbs and other products; collecting wild herbs; assisting in the herb and fruit gardens; working in the drying plant; caring for the plants on the foundation's premises; and work in the kitchens. More workshops and residential opportunities for people with disabilities will be created locally in the medium term. Since 2010 on the Juchowo farm within the framework of occupational therapy are conducted actions with the disabled people from the region with the aim to stimulate their professional and social activity. The farm offers great opportunities for integration and collaboration with people with disabilities. The activities of the therapeutic laboratory are covered by adults with various mental disorders. During whole year these people participate in occupational therapy workshops in their hometowns, and in the high season, from April to October, they come in groups (10-20 persons) to the farm. These groups change every two weeks. help in the production of juices, fruit syrups and herbal extracts. People with disabilities have felt good in Juchowo farm; they were interested in several working places. Therefore, new forms of activity were created: caring for calves, planting hedges, helping in kitchens, harvesting of carrots, beetroots. As a result of systematic training in the workplace, there were employed with permanent contract seven persons with intellectual disability and mental disorders. Disabled people, who are coming to us within the framework of occupational therapy, also participate in a variety of traditional ceremonies celebrated on the farm: Saint John's Eve, Harvest Festival, Advent, Christmas, Easter etc. All people who work with the Foundation feel valued and needed on a daily basis on the farm. They found their place here. The European Commission support for the production of this publication does not constitute endorsement of the contents which reflects the views only of the authors, and the Commission cannot be held responsi­ble for any use which may be made of the information contained therein. Chapter 1 – How to match up the individual stations of a farm visit in a logical way? How to create my script for the farm visit? Unit 1 – Why do farm visits cost money? Unit 2 – How much will my visit cost? Text files that websites saves on your computer or mobile device when you visit the site. It enables the website to remember your actions and preferences (such as login, language, font size and other display preferences) over a period of time, so you don't have to keep re-entering them whenever you come back to the site or browse from one page to another.